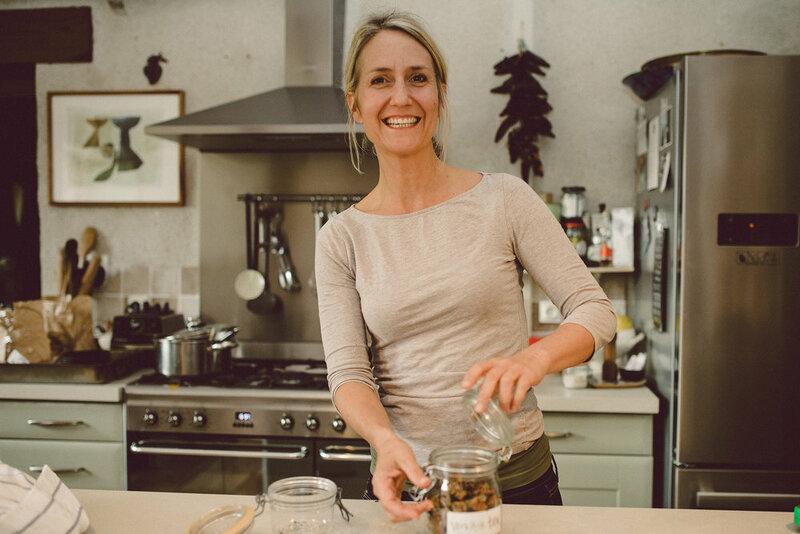 I am Tamsin Chubb the owner and founder of Little French Retreat, an intimate wellness venue situated in South West France that accommodates six guests. I am English, originally from London and moved to France in 2013 to turn a house that belonged to my mum, into a place to help others wellbeing . My mum had bought the house in 2005 to live out her retirement dreams, yet sadly this never happened as two years after she purchased it, she was diagnosed with terminal cancer and passed away nine months later. This is when my life changed. Little French Retreat evolved from a personal journey of coming to terms with loss, grief and finding meaning and purpose again. I had worked in management for luxury retail and interiors companies in London, I had a good job, but I knew I had to leave and redefine my life. I spent the following years after my mum's death focusing on what brought me joy; my yoga practice, cooking and taking photographs. Eventually these, and the desire to feel close to my mum, led me to move to France and begin Little French Retreat. As your host and yoga teacher I draw on my varied background as a yoga instructor, ayurvedic cook, coach and interior designer to create a safe, calm space where guests can come to unwind and rebalance. My approach to health and wellness is holistic, placing equal emphasis on mind, body, nutrition and environment. My ultimate goal is for every guest to find a deep sense of rest and to feel fully supported as they embark on a journey to improved mental and physical wellbeing, providing the strength and confidence to make the changes they wish in their life. I am entering my sixth year running Little French Retreat and feel passionate about the work I do. I have been described as having a human approach to teaching yoga. It's important to me to integrate the ancient teachings of Yoga and Ayurveda as an accessible practice for everyday. I hold a 500hr certificate and studied under the guidance of Swami Govindananda, Swami Tattvarupananda and Mani Raman at Sivananda Yoga Vidya Peetham. The school practices the teachings of Swami Sivananda, a renowned guru (teacher) from Southern India who’s’ lineage and philosophy can be traced back to the earliest teachings of yoga over 1000 years ago. I have spent time living in ashrams in France and India, deepening my knowledge, serving as teacher, cook and Karma Yogi (the practice of selfless service). I travel to India during winter months to spend time with my teacher and lead groups to Kerala and the Himalayas to experience the birth place of Yoga and magic of the country. I am currently training under the guidance of David Frawley and the American Institute of Vedic Studies to become an Ayurvedic Life-Style Consultant. A 300hr course that provides knowledge and deeper learning of traditional natural medicine and the ancient healing system that has been in existence in India for 5000 years. The Ayurvedic system treats the physical body and its ailments and includes psychology and yogic spirituality as a holistic system of healing that considers our entire nature as body, mind and spirit for optimum health and balance. I am one of a growing community of international Flow Game hosts. An innovative game that is enlightening and insightful. I was led to the Flow Game at a time when I sought a complimentary practice to yoga that would support guests on retreat and facilitate change. I found this with the Flow Game and have since adapted and refined to create the SELF-DISCOVERY JOURNEY at Little French Retreat. The process facilitates a discovery of your inner leader, strength, vision and decisiveness – enabling you to take a new direction with clarity and a sense of knowing, from which you can make good decisions.